Eigentlich soll der Elektrozaun die Rindviecher am Verlassen der Weide hindern, hier kontrolliert er jedoch die Menschenmenge, die dem traditionellen Viehabtrieb im Münstertal beiwohnen wollte. 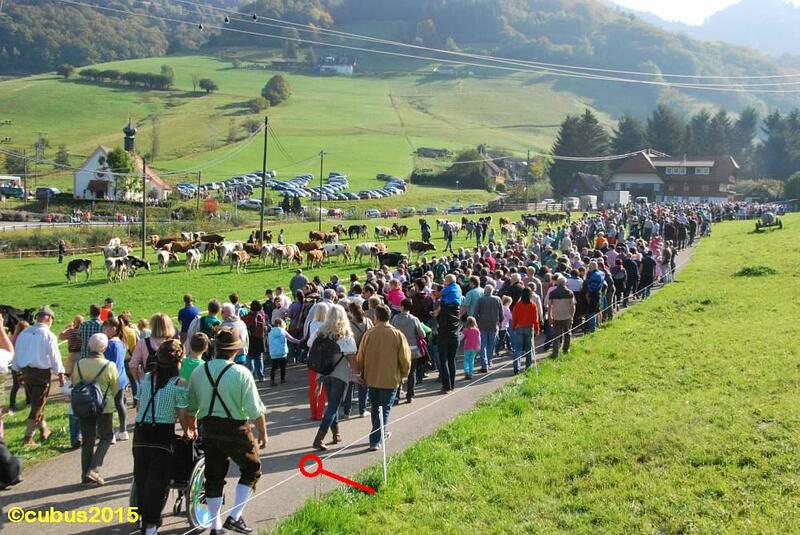 Normally the electric fence is suppose to prevent the cattle from leaving the pasture, in this case it is controlling the crowd, that wants to attend the traditional cattle drive in Münstertal. Great photo. (Hope no one got shocked by the fence :). )Perfect for the challenge. Thanks for joining!